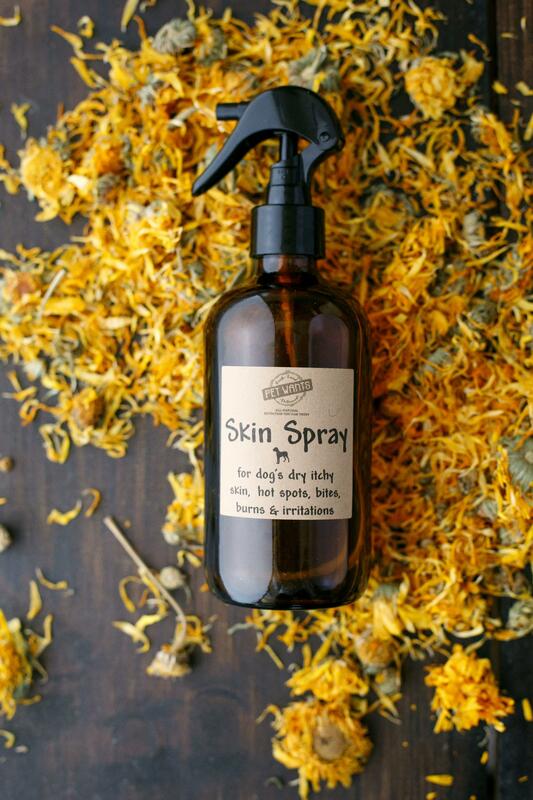 Our homemade Skin Spray is an all-natural way to treat and soothe dog's skin, and is commonly used for hot spots, dry itchy skin, bug bites, burns and irritations. Made locally with Calendula infused purified water and doTERRA oils. Our homemade Skin Spray is an all-natural way to treat and soothe dog's skin, and is commonly used for hot spots, dry itchy skin, bug bites, burns and irritations. The all-natural ingredients and doTERRA Oils have healing benefits including anti-inflammatory, antimicrobial, antifungal, instant itch relief, tightens skin which reduces inflammation, and can help to prevent wounds from becoming septic and defends from toxins.